Joining together to nourish our souls and share our love of the arts. 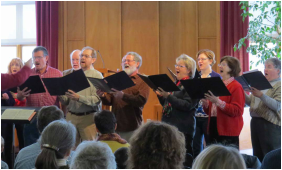 Our congregation is blessed with talented and generous members who share their musical gifts at our services. 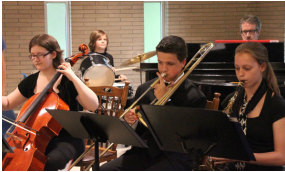 ​We also draw from the Lincoln community for musicians who provide a wide variety of music to enhance our services. 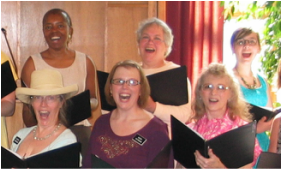 Unitarian Choir Rehearsing on two Wednesdays and then singing four-part music together at one Sunday service a month. 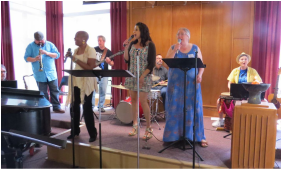 The 'A' Street Band ​​Providing folk, jazz, and rock music for church services and social events. The One-Hour Choir Meeting an hour before church to learn two or three songs which will be performed at that day's service. Women's Choir Lifting up the voices of girls and women (generally ages 12 and up) at one or two services a year. 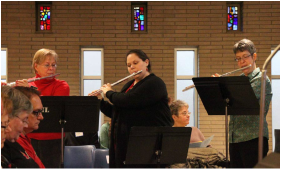 UU Flute Ensemble Sharing love of music through regular practices and occasional performances. 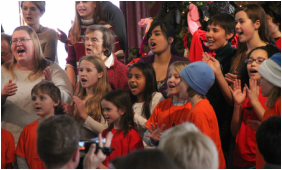 Youth Musicians Offering vocal and instrumental talent during various intergenerational services. 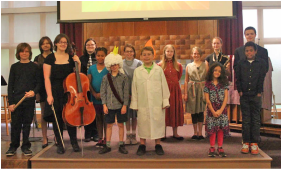 Drama Club Combining music and drama in a yearly service presented entirely by youth and children. Guest Musicians Utilizing the rich talent pool in Lincoln to bring professional musicians to our Sunday services. 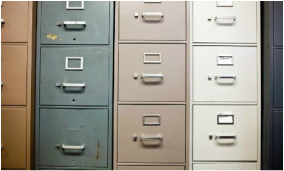 Music Librarians ​Providing behind-the-scenes assistance with sorting, stamping and organizing of the music files. 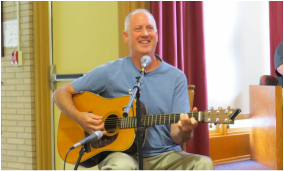 Ready to be part of our music ministry? Submit this form to our Administrative Director, Jean Helms, to register your interests in this area. Let us know about all musical gifts and talents you'd be willing to share. Please list local musicians you would like to hear at our services. include contact information, if possible.